Why I goop in servos instead of using epoxy. There are different ways to glue in servos if you don't have servo frames (and to glue in the servo frames). People use epoxy directly or tape the servo to prevent epoxy from sticking to the servo, but epoxy gets brittle over time and I've had servos pop out because of this. So...... I use Goop. 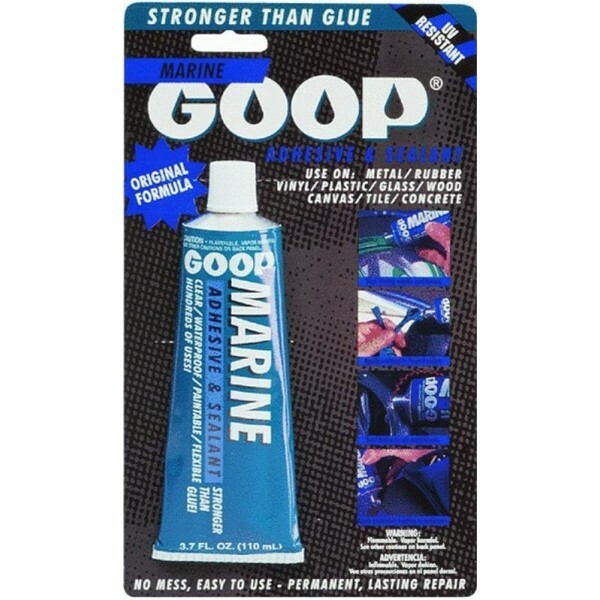 There are all types, from Goop, Goop Marine, Goop Household, Goop Kitchen, Goop Automotive, Shoe Goo, etc., etc, etc. They are basically all the same. The really great thing about using this type of glue is that you have plenty of time to adjust the servo to get it just right, it doesn't get brittle, AND it is very easy to remove if you need to. Just take a string soaked in Toluene and it cuts right through the glue. Servo is out and a tiny dab of the glue and its right back in.